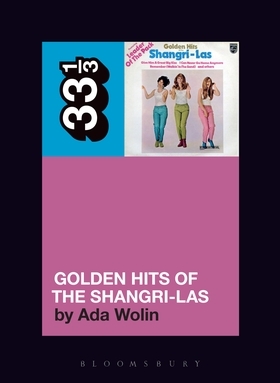 This week, Ada Wolin, author of the new 33 1/3 The Shangri-Las’ Golden Hits of the Shangri-Las will be taking over the blog! Her new book, out April 4th, dives into the popular 1960s girl-group, and their unique ability to challenge the status-quo of sticky-sweet girl groups of the time, setting the stage for the coming generation of tough women in music. When I first heard about the Under 22 Open Call, it struck me as an oddly sadistic concept. Before you accuse me of biting the hand that feeds, let me explain. Can’t you just imagine the ensuing criticism? The calls of media stunt gimmickry, and the Goodreads reviews lambasting sophomoric term-paper writing? Pity the poor college student who ends up putting that book out into the world. Being, by nature, a somewhat obstinate person, I had to throw my hat in the ring. I wish I could say that I knew I wanted to write about Golden Hits of the Shangri-Las from the very beginning, but it took some time getting there. I knew I wanted to shoot my shot, but I felt the possibilities swirling in a confusing cloud around my head. How could I compete with authors who had experienced firsthand their album’s milieu? Who could enlist industry contacts and get band involvement? What album could I say something about, something that was actually worth saying? 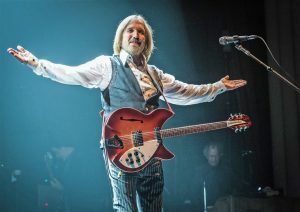 Many authors write about albums that shaped their late teens and early twenties, that formed the adult identity they have now. It’s a funny thing to start a 33 1/3 at nineteen. Even now, as I turn 23, I’m still a piece of Play-Doh, in those very years that I will look back fondly on in twenty years. Nostalgia was, for obvious reasons, out of the picture. But there was something I could do, that I felt uniquely equipped for. I could dive headlong into the solipsistic sulk of the Shangri-Las. I was riding the blue line home one day during my sophomore year of college, listening to a subpar rip of Golden Hits when the realization hit me in a truly ridiculous way. Yes. I had never read anything of substantial depth about the Shangri-Las. As I quickly learned as I waded into research, that was because there was barely anything written about them. The Shangri-Las don’t have a hagiography. They never have, and I wouldn’t change that. To even begin to tell their story is a terrifying, unprecedented feat. I didn’t, and still don’t, care overly about the studio minutiae. This is not that kind of book. That is, to some degree, because I got my degree in poetry and it’s my book, god damnit. But in a less facetious sense, and perhaps a more convincing one, I believe that the story of the girl-group sound is often studio-centric. Superslick pop music often gets that treatment. I wanted to think instead about why this music moved me so immensely. I’m not a music scholar—but at the time of my book’s completion, I had listened to the Golden Hits of the Shangri-Las more than anyone should ever have to listen to one album. I was beginning to think in car crashes and sullen spoken overtures. When I received word from the folks at Bloomsbury that my proposal had been selected as the winner of the Under 22 Open Call, I was utterly floored. I frankly hadn’t considered the fact that I would have to actually write the damn thing. With the help of a few very supportive teachers, and my awesome editor Marc Woodworth, I managed to write this thing over my last year of college and first year in the real world. Like many great opportunities, the timing was less than perfect. But unlikely as it seems, out of that came a stronger, more passionate, and more informed book. Because I wasn’t looking back, in anger or otherwise. I wasn’t remembering my youth, I was fumbling through it. Every time I felt like I would never finish, that there was no end in sight, I breathed a sigh of relief. That meant I was finally absorbing the Shangri-Las at their finest. Stay tuned throughout the rest of the week to read more of Ada’s blog posts!